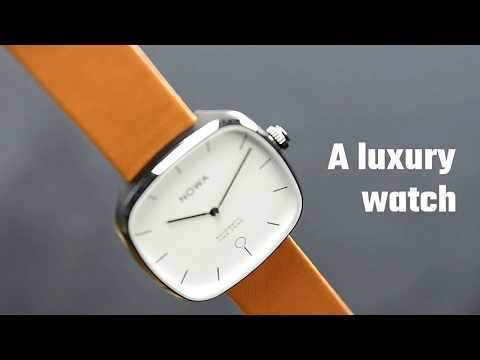 Get the best of both worlds with the NOWA Superbe – a collection of skinny hybrid watches that track your activity and keep you connected on the go. The independent design studio from Paris is well known for its range of sensibly priced, stylish, timepieces. Since 2016 the outfit has brought to market some of the thinnest hybrids around. These devices combine a simple watch face and the understated yet refined look that brings French sophistication to your wrist. The latest collection has recently launched on Kickstarter. It features a striking 36mm square, 10 mm thick case. The only clue that this is not a traditional timepiece is a small light indicator for notifications on the face of the watch. Superbe comes in a choice of six distinct styles for both men and women. They all come with Swiss Parts Ronda Quartz movement, 316L stainless steel case and clasp, scratch-proof glass and Full grain Italian leather or Steel mesh strap. NOWA says the collection has been designed for travel. It automatically syncs the hands of the watch to the time zone of your phone, its water-resistant down to 30 metres and, best of all, requires no charging. Powering the thing is a CR2025 battery that will keep it going for about 8 months. The watch keeps tabs on your activity (steps, distance, calories) and sleep (duration, quality and time). The accompanying smartphone app lets you set goals, view history and save everything to the cloud. Superbe will even notify you of calls and allow you to reject them with a simple quick push on the crown. This is NOWA’s second hybrid watch collection. Superbe is going for €99 on Kickstarter, which is 50% off the final retail price when it goes to market in August 2019. This includes a 24-month warranty and free shipping.